At the Indy PopCon convention last week, SocialTimes spoke with Seth Coster, developer at Butterscotch Shenanigans, about Crashlands and its female main character. 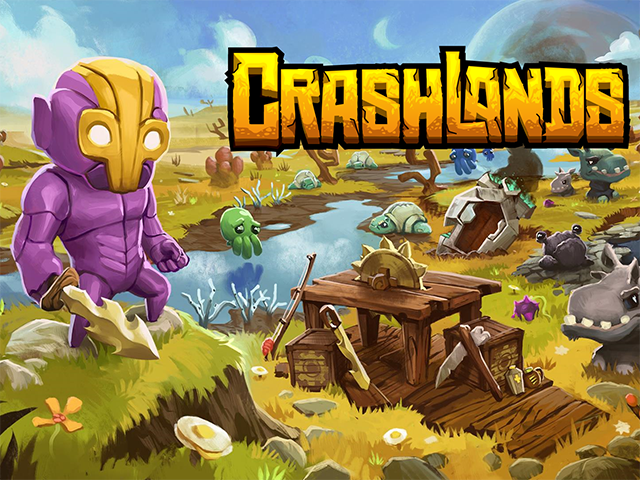 Butterscotch Shenanigans launched its crafting role-playing game Crashlands on iOS and Android in January. The game allows players to collect resources and craft new tools and objects as they work to survive on an alien planet. At the Indy PopCon convention last week, SocialTimes spoke with Seth Coster, developer at Butterscotch Shenanigans, about the game and its female main character. ST: Did you expect the game to be as critically acclaimed as it was? Seth Coster: We weren’t sure if people would “get” what we were going for with it. Because we mashed so many things together, we actually had a really hard time explaining it to people. We always knew we had this problem, where we have creature taming, we have crafting, but it’s an RPG, but it kind of looks like Don’t Starve in its perspective, but it’s not a survival game because there’s no starvation. We mashed so many things together that that was the big worry—that we would be unable to concisely sell the idea of it to people … So we relied on the trailer, trying to crack a lot of jokes. We tried to make it a point to make all of our approach to talking about the game as humorous and ridiculous as possible, and hope that at least that would pull people in. SocialTimes: Were you trying to make a statement with [the female main character], or … ? I think there’s also a lot to be said about the fact that, for so long, games have been marketed so hard to men. The characters are always men—we’ve spent a lot of time reading about this stuff, trying to make sure that we actually make our games accessible to people of all different stripes and backgrounds. I think it’s just insane how male-focused games tend to be. You’re always a middle-aged white dude, saving the world. Honestly, Crashlands originally had that slant. It wasn’t you just being some random employee working in the bureau of shipping getting thrust into this crazy situation. It was originally a very tropey idea, where maybe the Earth is running out of resources, and you’re sent to this planet to find a new energy source. So you’re already the hero. So, we did away with that, and we started asking questions about all of the general tropes and cliches that we see throughout games—this “man saving the day” thing kept coming up over and over again. [We decided] no, we’re not going to do that this time. ST: Were fans upset about this, were they cool about it, or did they just not care? I think what’s the most interesting about that is the fact that the gender of the character does not matter. It has no bearing on the story. If the player decides that the main character is a man, it doesn’t affect anything in the story, and I guess they’re just free to live that idea out if they want to … The main character doesn’t need to be a man, it doesn’t need to be a woman—it’s a character that you’re playing as. I can’t think of a circumstance where the gender of the character would dictate some kind of gameplay element or story element … It just didn’t matter.